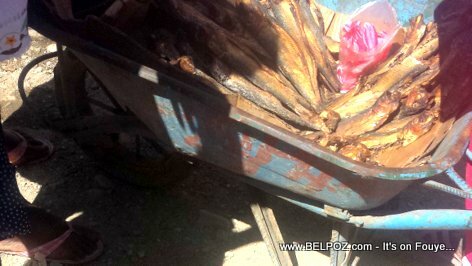 Haitians cook Everything with Aransò (smoked herring) dont they? Spaghetti ak aransò - Spaghetti, often cooked with hot dogs and onions, they add the smoked herring to give it taste. For some reason, if the 'gout aransò' (taste of the smoke herring) is not there you can feel that something is missing, being so used to the taste.